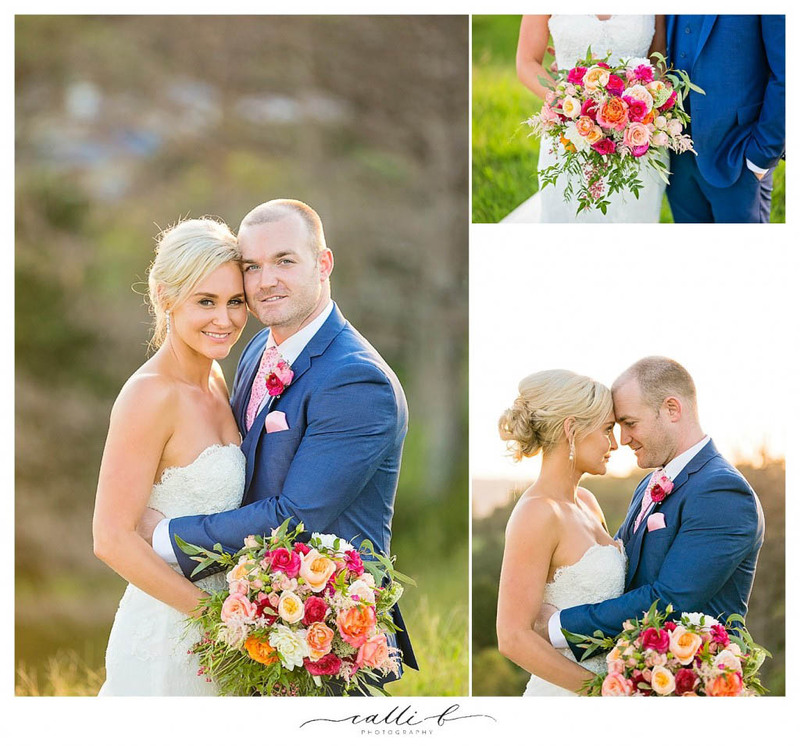 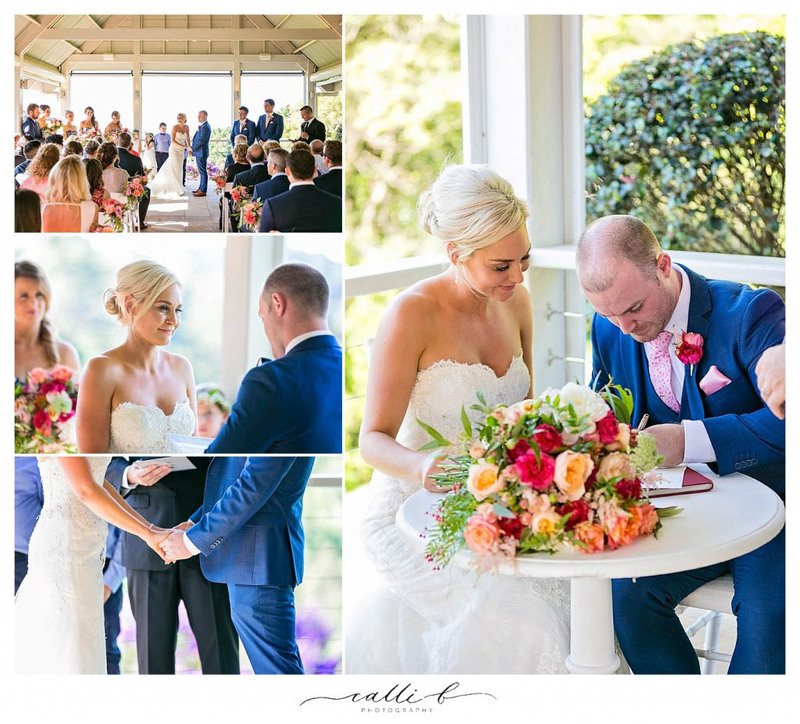 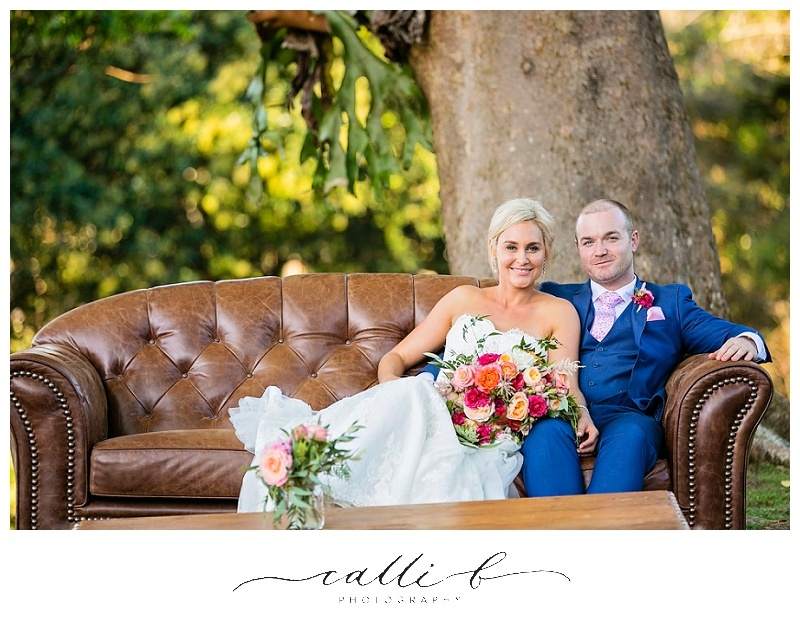 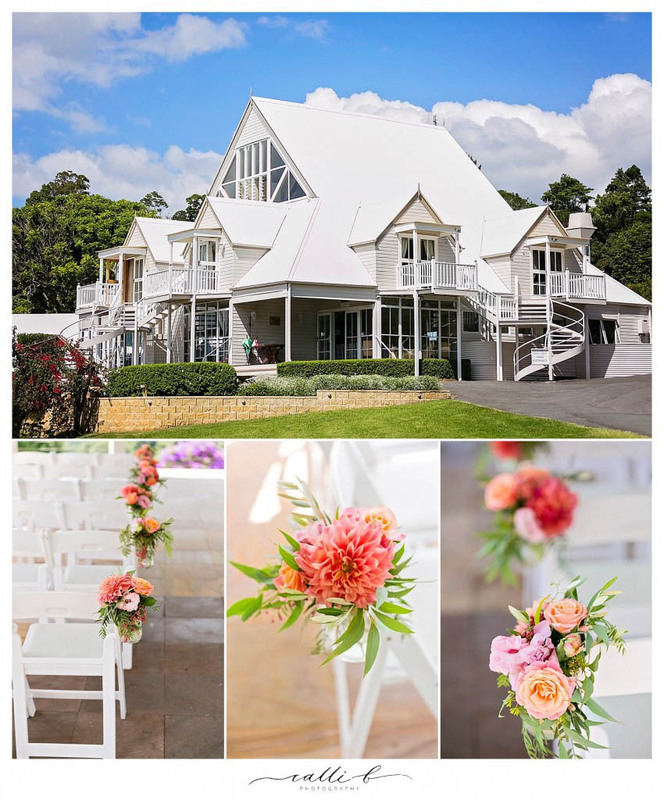 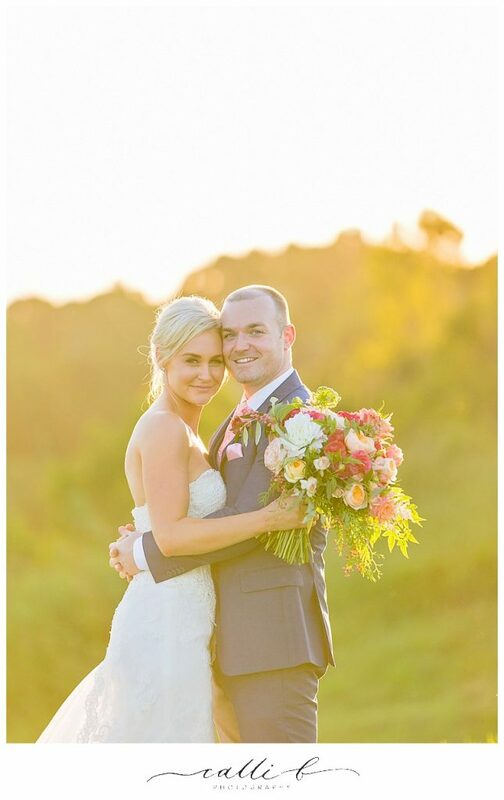 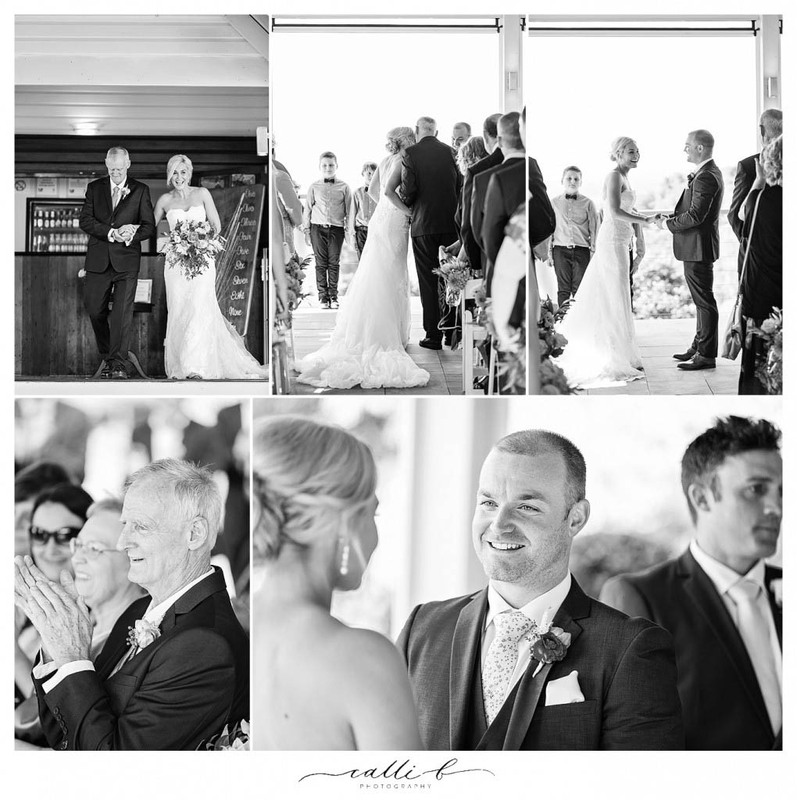 What an absolute divine event this country wedding was, Kate and Rhys chose gorgeous Maleny Manor to say ‘I Do’ and their sophisticated country wedding style certainly delivered opulence and plenty of glamour to their modern country wedding day. 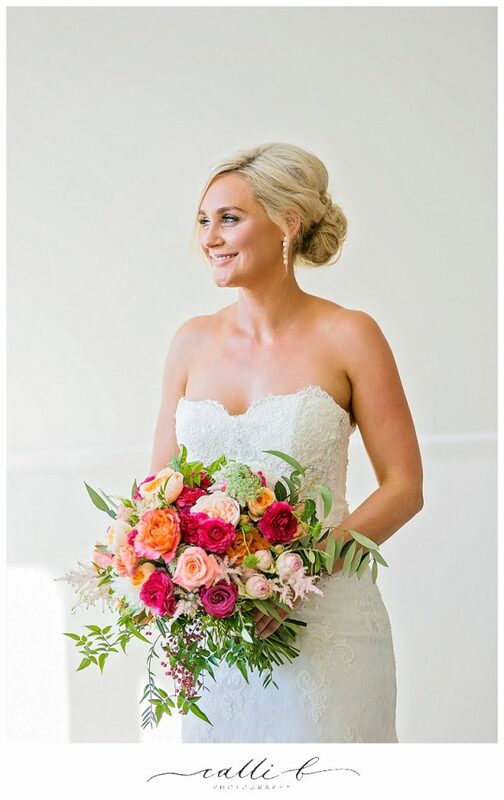 We were delighted to create the floral concept for Kate and Rhys and what a fabulous brief we had, it all started when Kate showed us a favourite bouquet design that Mondo Floral Designs created for a styled shoot, this bouquet represented her inspiration for colour, and so the coral, peach, tangerine, magenta and pink tones became the base palette for the styling of this gorgeous event. 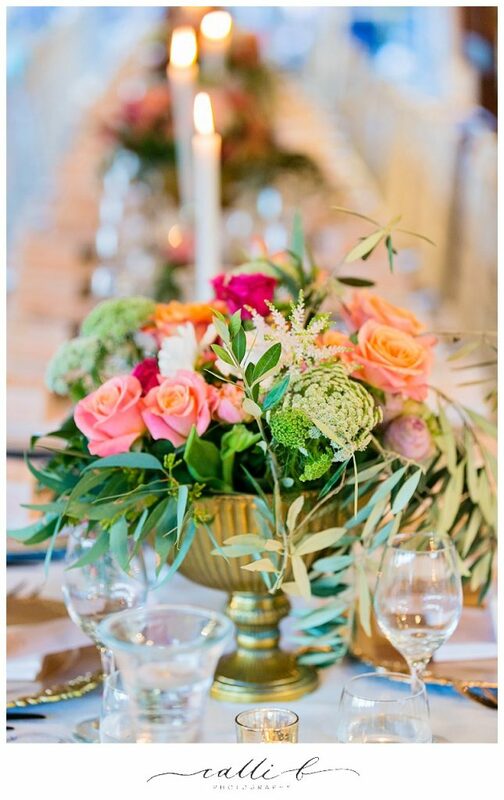 The delicious colour palette flowed through the entire floral concept, and we were delighted to also feature our old world gold chalice vases, these were the perfect vessel choice to fit beautifully with the opulent wedding style, and continued the sophisticated wedding concept through to reception. 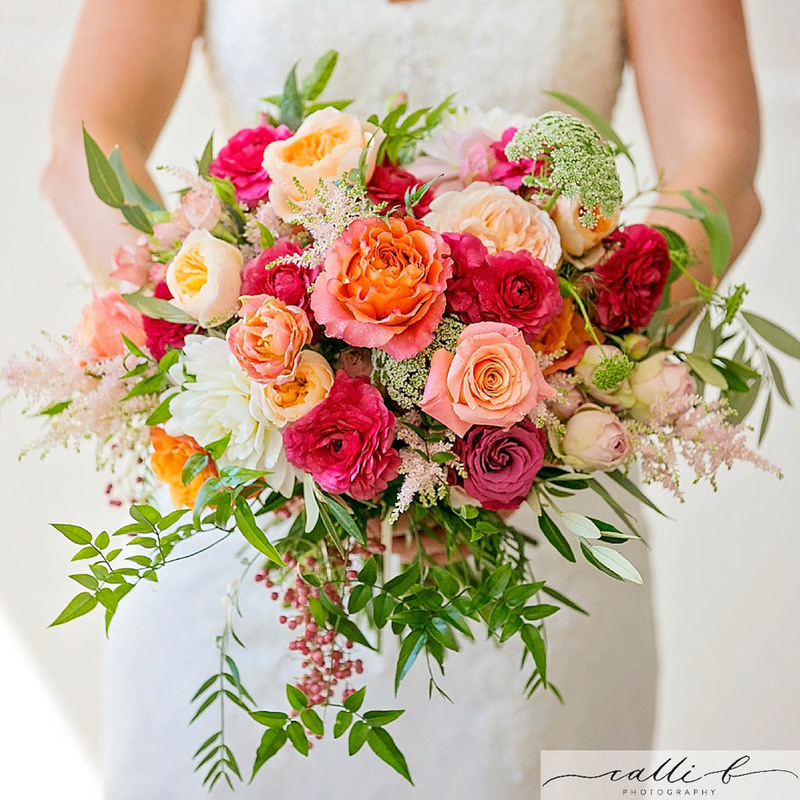 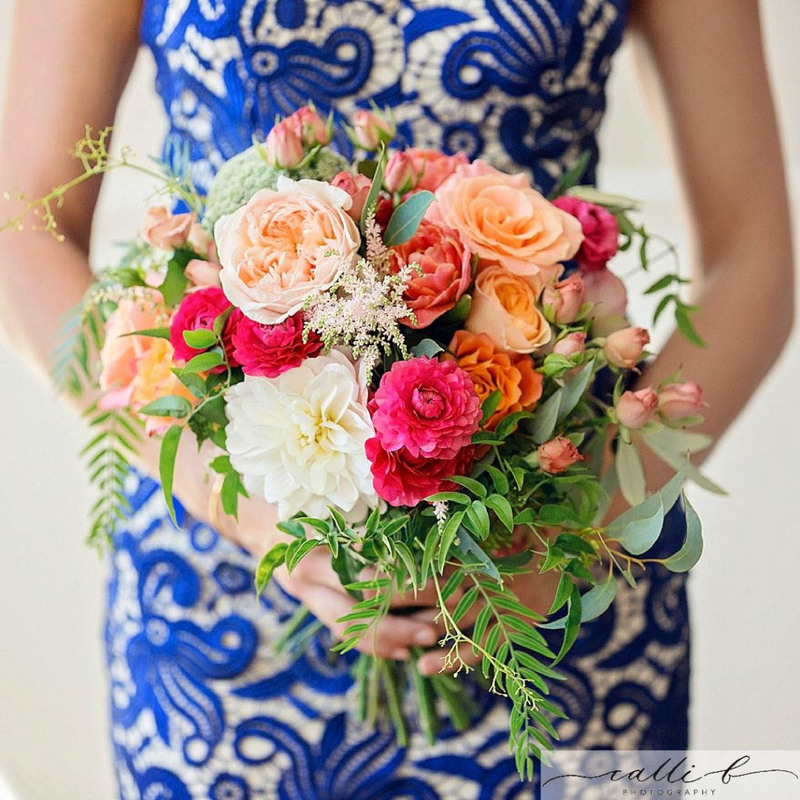 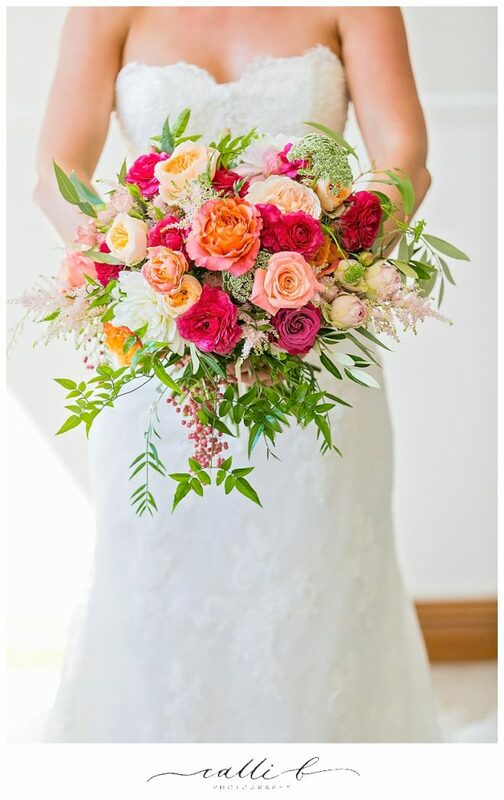 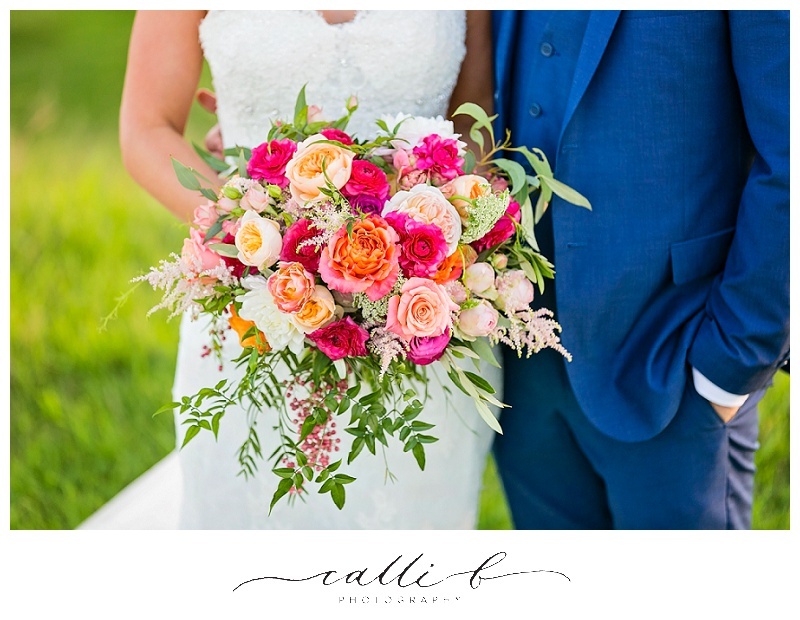 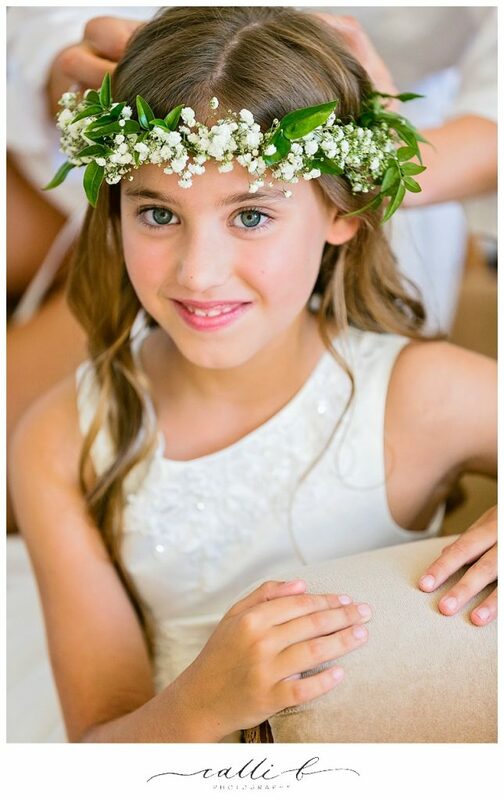 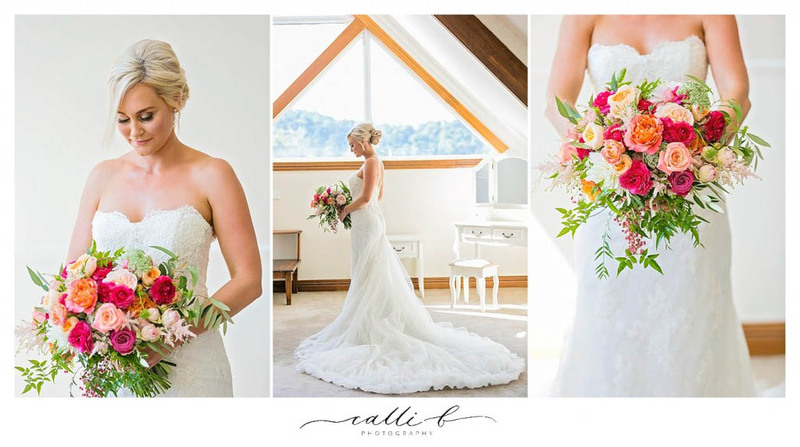 Kate’s wedding bouquet was an unstructured design style that featured textural greenery and flowering fillers and plenty of beautiful blooms! 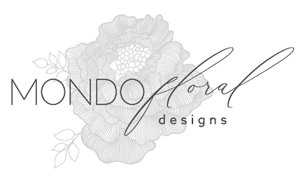 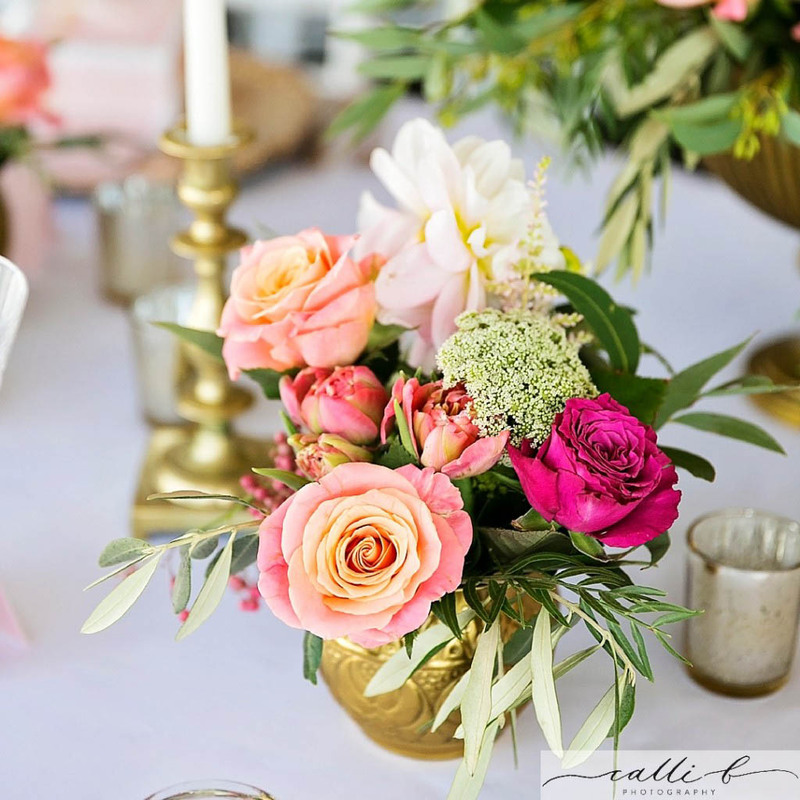 We were super excited to be able to include ranunculus which were exceptionally early for their season, but our super hero flower suppliers delivered the goods and these stunning blooms were included throughout the concept. 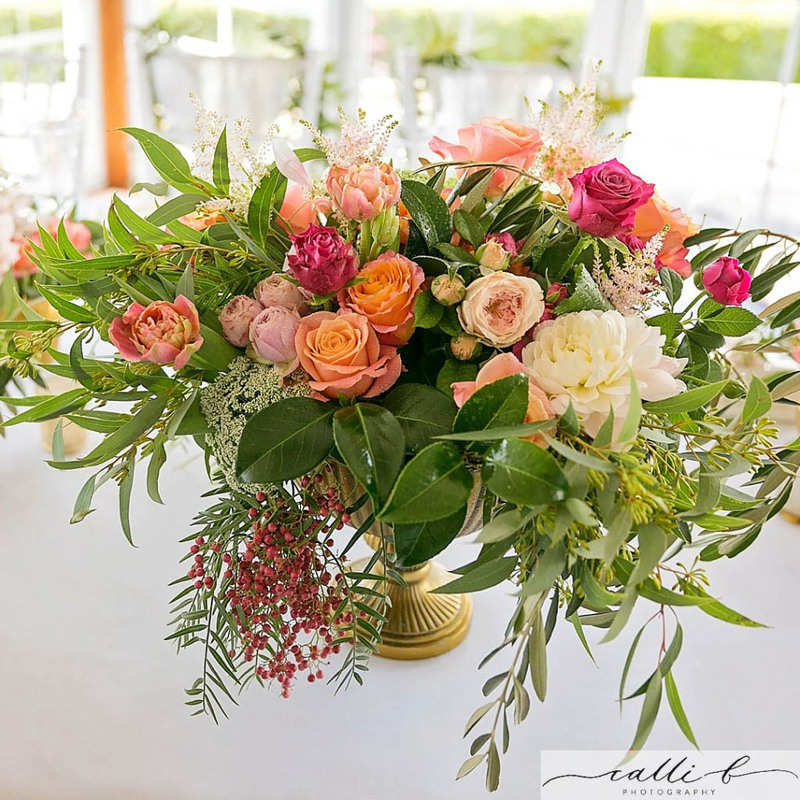 Along with David Austin roses, double tulips, cottage roses, dahlias and lisianthus, these delicious seasonal blooms were combined with olive branch foliage, textural fillers and flowering berries. 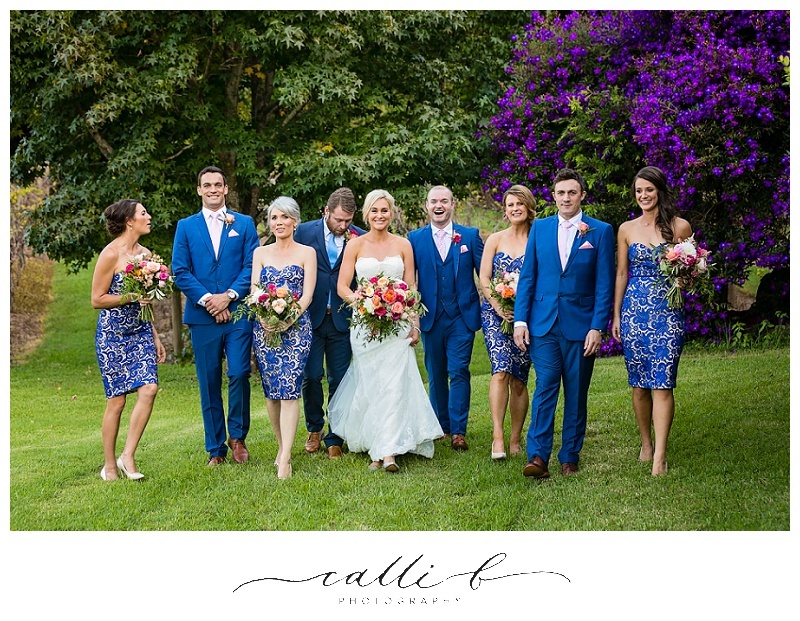 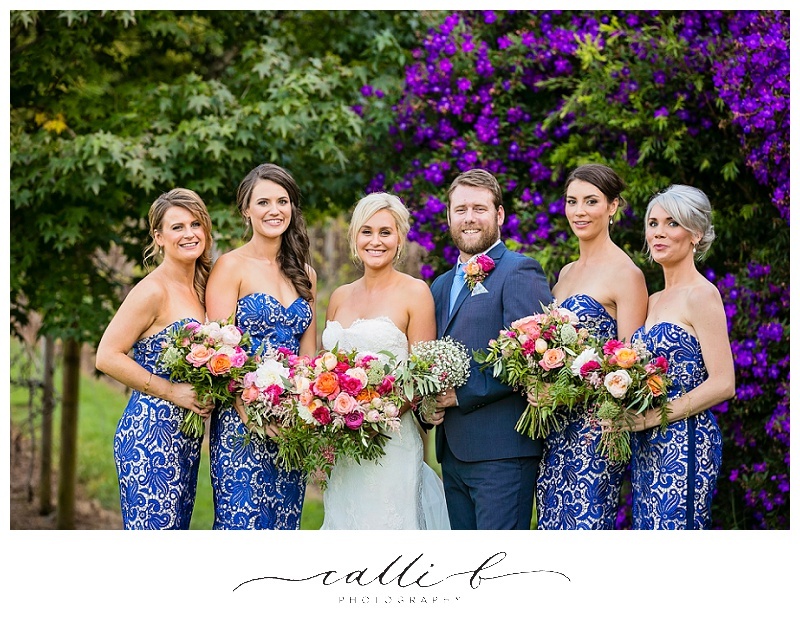 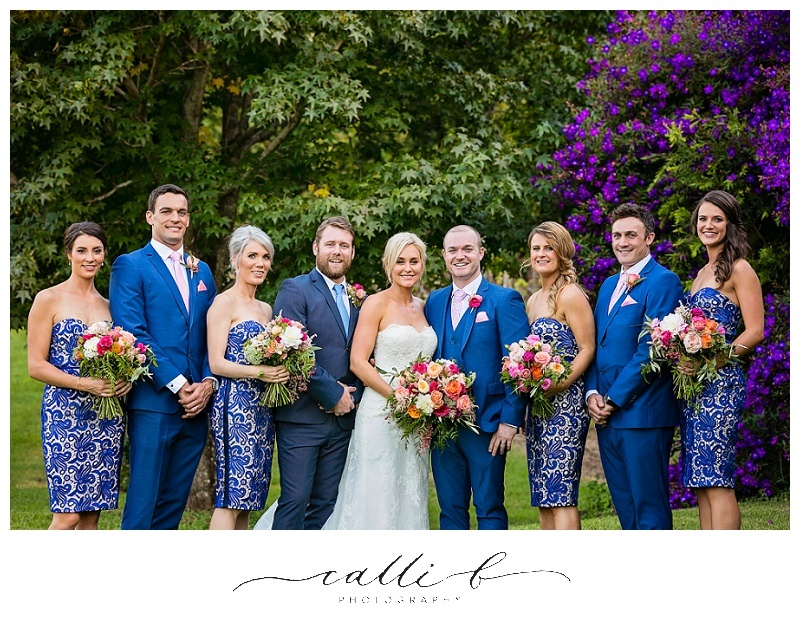 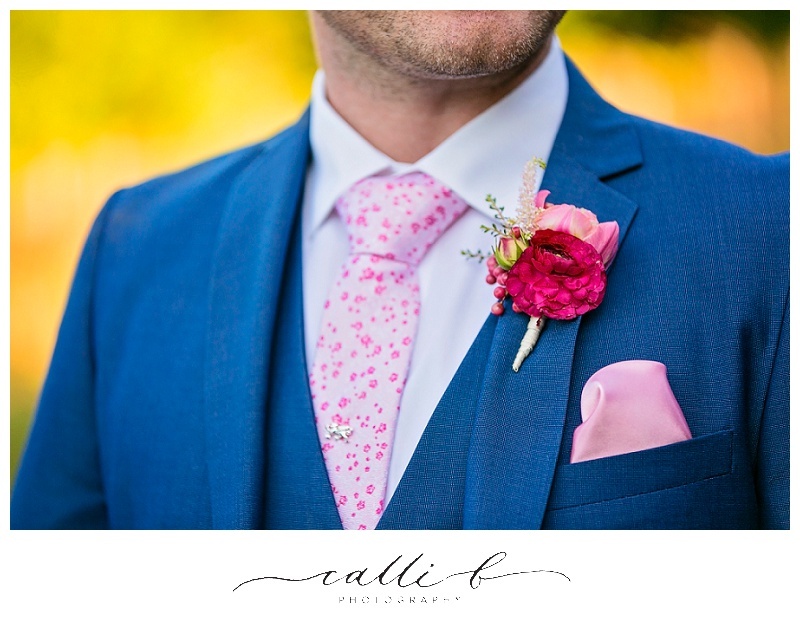 The stunning bridal party included Kate’s male friend as her bridesman, as well as four beautiful bridesmaids all wearing royal blue, so the vivid yet elegant colour palette worked perfectly with the stronger tones of blue. 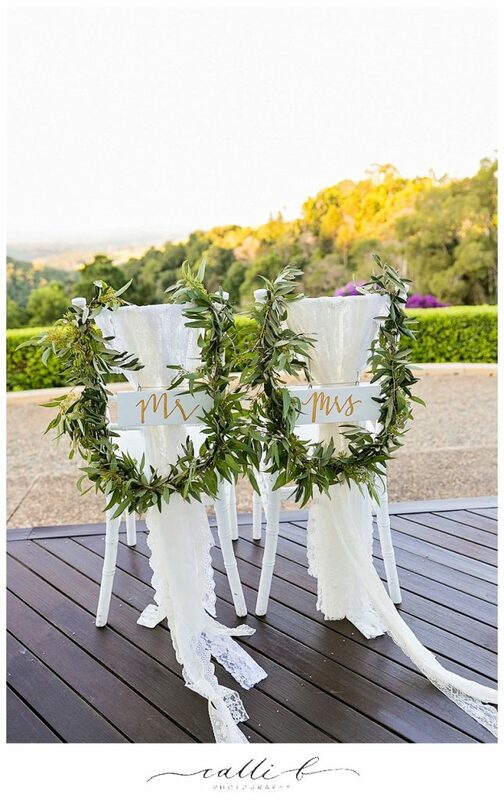 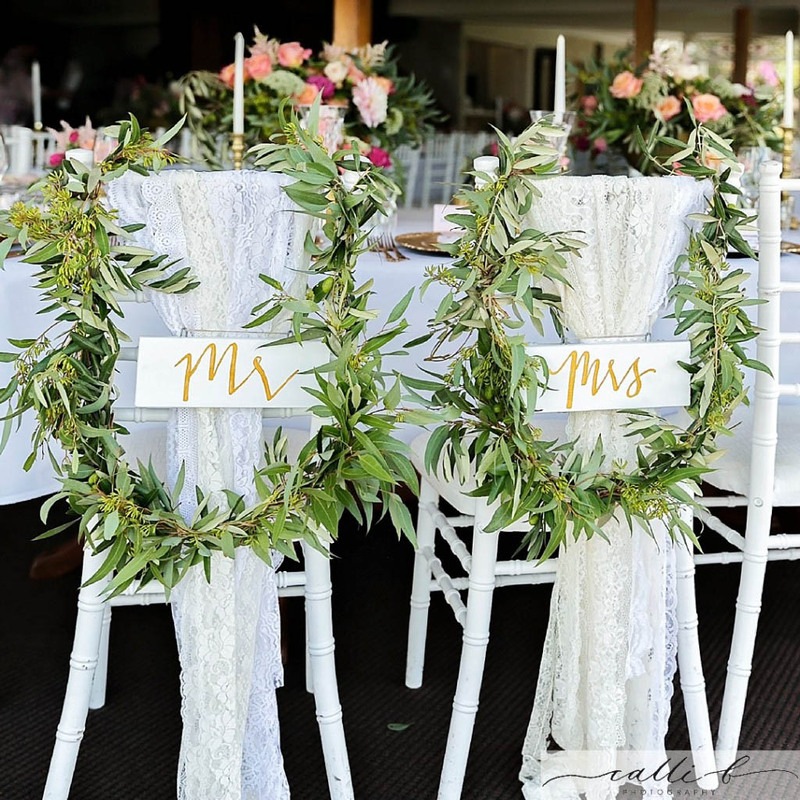 Chair posies featured at ceremony in the beautiful pavilion and how gorgeous was the colour accent of the flowers against that beautiful bridal party! 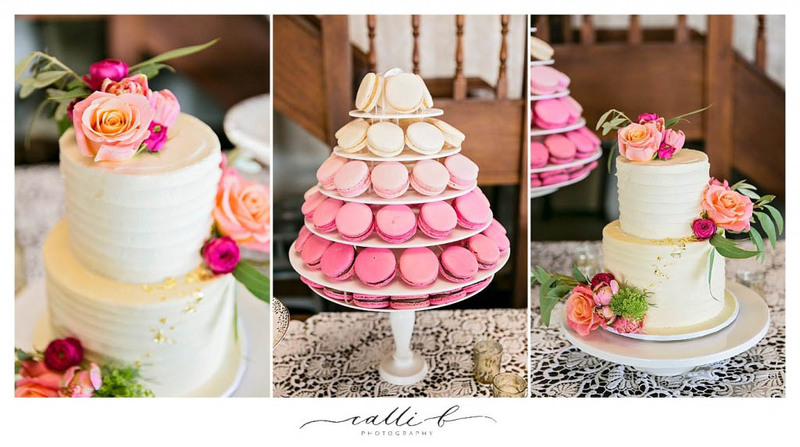 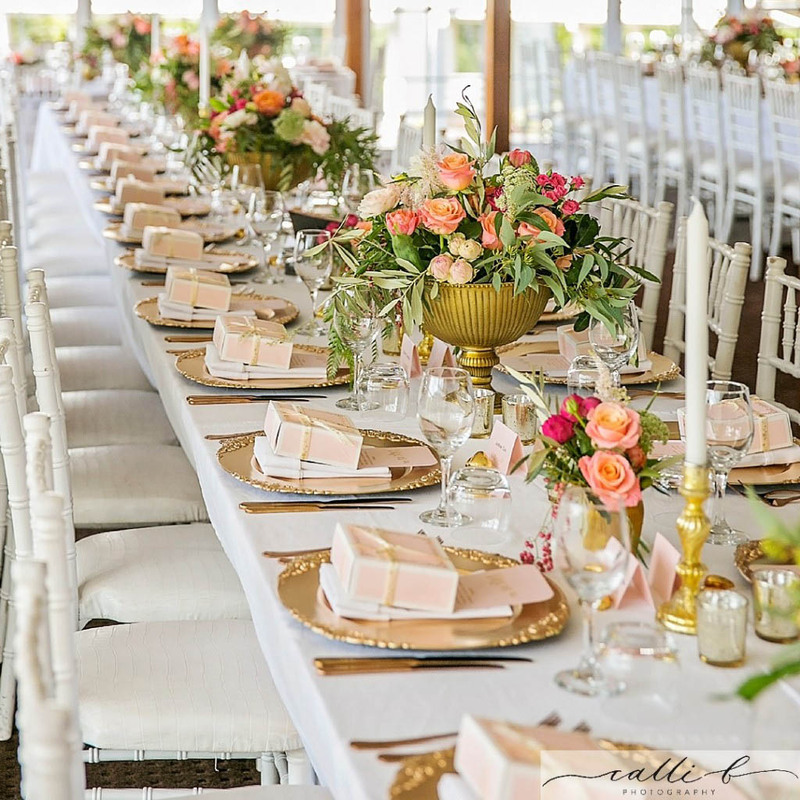 The reception was transformed into a luscious dining soiree. 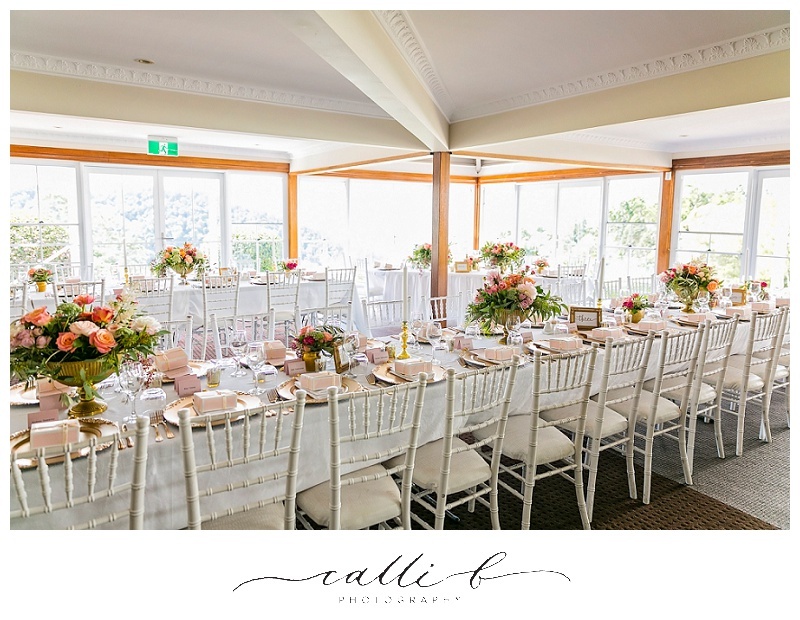 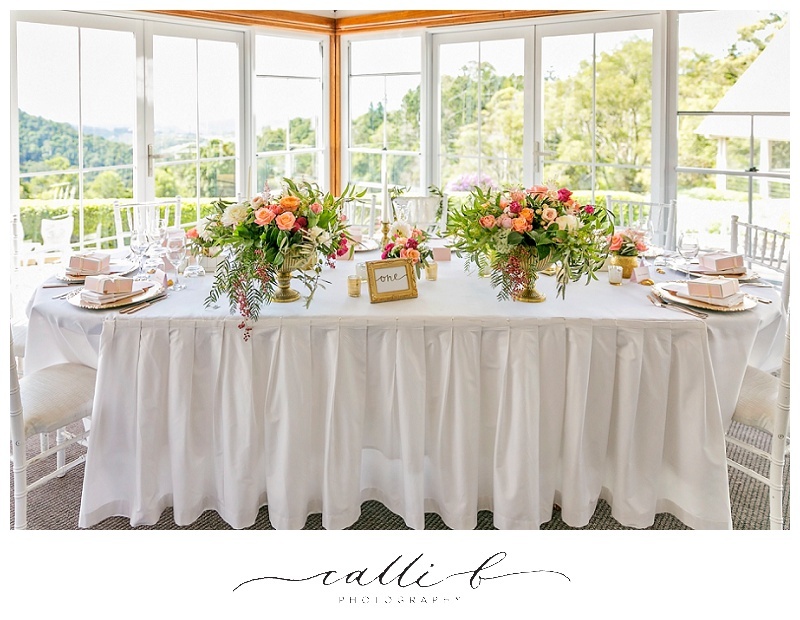 Lovebird Weddings created longer style table spaces by introducing their long timber tables, these were elegantly clothed and ready for our floral designs. 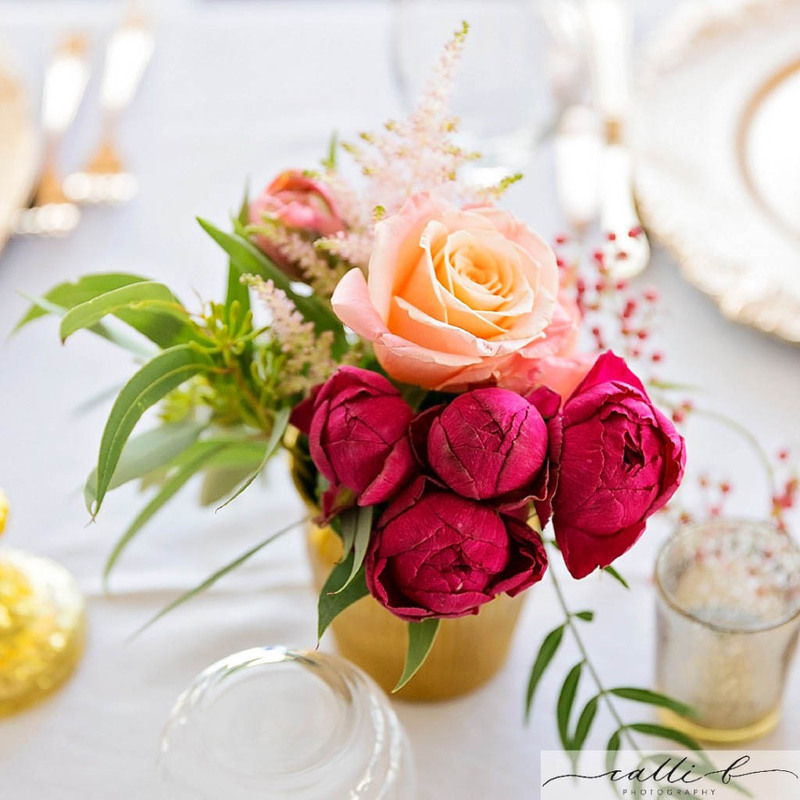 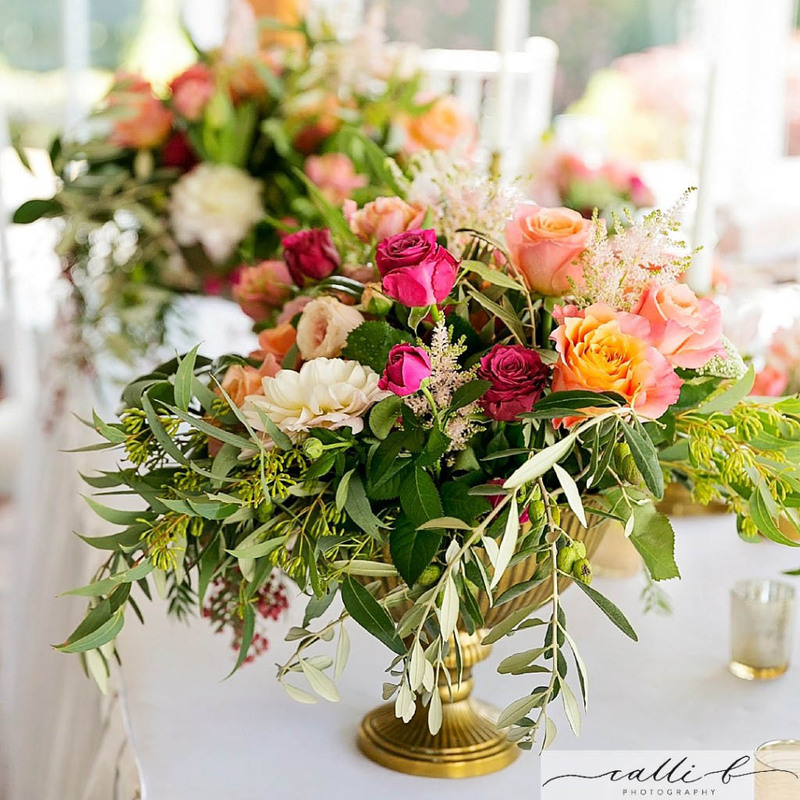 Our old world gold vase collection featured, and the decadent chalice vases were generously filled with beautiful blooms, smaller style gold vases were also placed in clusters throughout the table space. 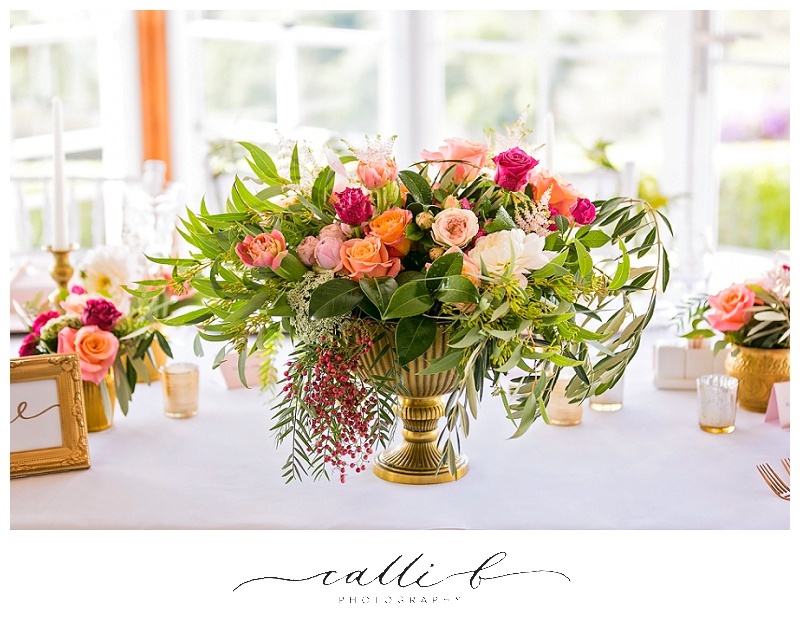 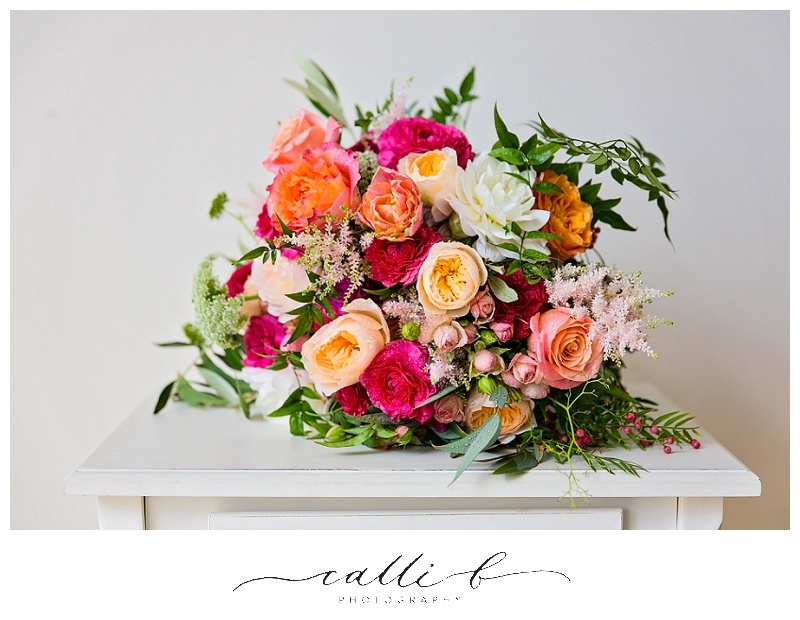 The beautiful floral concept continued, with the modern punchy colour palette popping perfectly throughout the styling. 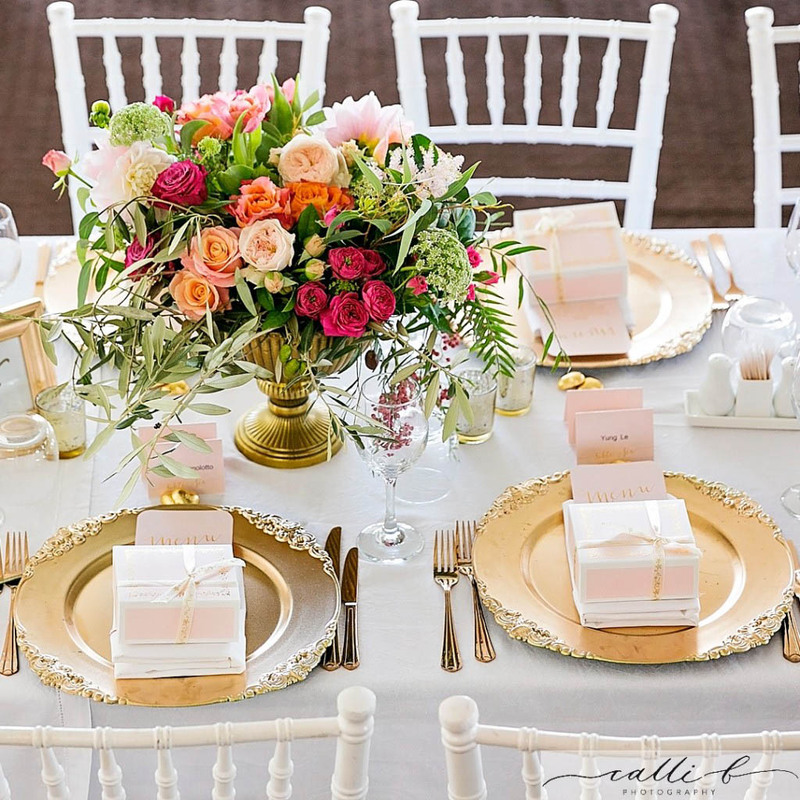 Gold charger plates and cutlery also featured on the tables, with pretty table decor by Lovebird Weddings placed throughout the space. 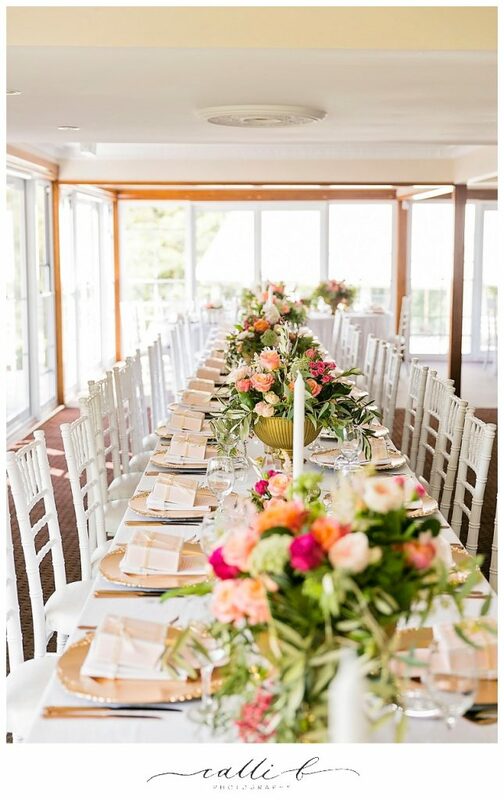 Pops of floral featured on the bridal chairs, the seating frame and the delicious dessert buffet. 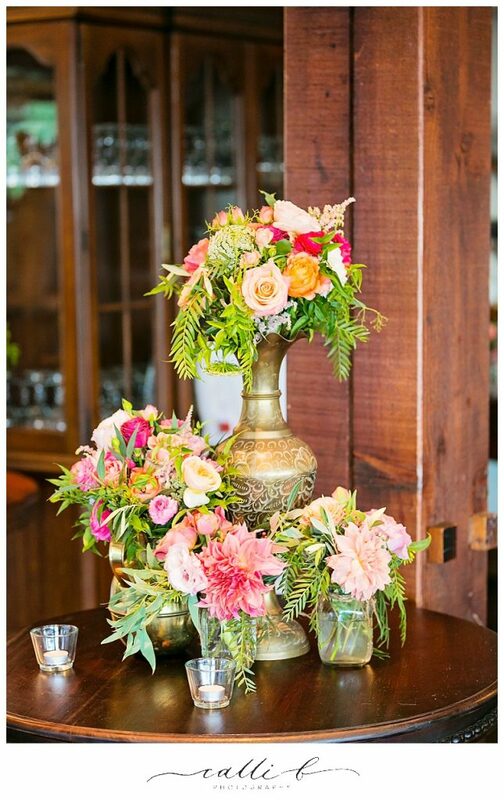 The old world gold in combination with the modern floral concept melded beautifully to create this sophisticated country wedding style.